All Texans deserve safe repairs after their vehicles are damaged -- because safe repairs save lives. Please support HB 1348 by Rep. Clardy, which would protect Texas families on our roads. 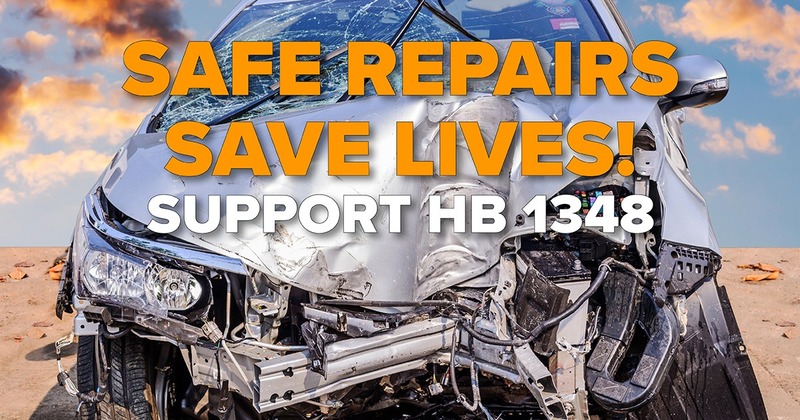 HB 1348 would ensure quality auto parts are used to make quality repairs that follow accepted safety standards. And it would prevent insurance companies from steering people to their "preferred" body shops. All Texans should have the right to take their vehicle to the body shop of their choice, free from intimidation or coercion from the for-profit insurance industry. Please contact your legislator now to tell them to support HB 1348!